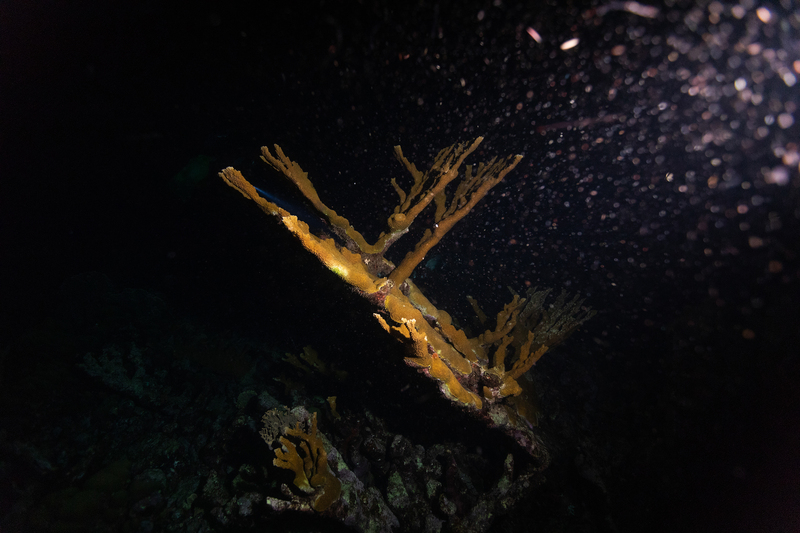 Scientists from the Smithsonian Conservation Biology Institute (SCBI) and partners in Florida and Curaçao have become the first to use cryopreserved (frozen) coral sperm to support gene migration of coral populations that would otherwise remain geographically and genetically isolated. Because live corals are difficult to move safely between locations for breeding, the technique provides an effective way for conservationists to mix coral genes from different populations with the aim of making offspring more resistant to bleaching and disease. 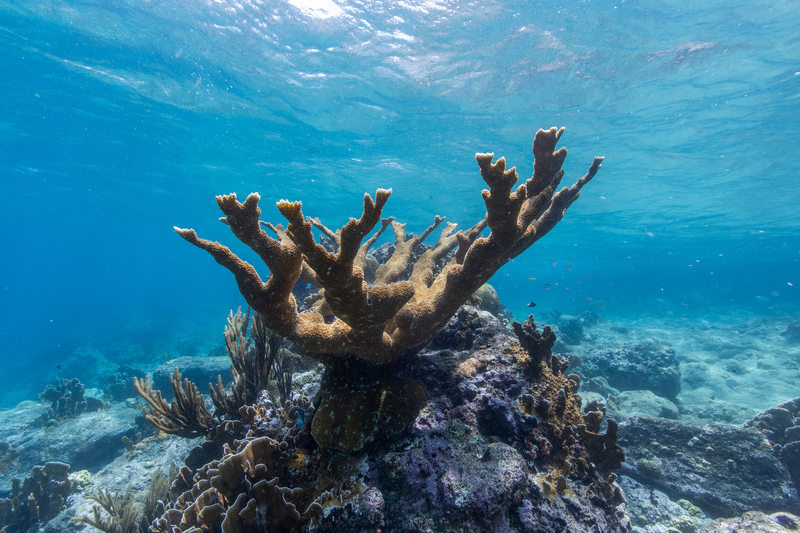 The researchers used more than 150,000 live eggs collected from endangered elkhorn coral (Acropora palmata) in Curaçao and fertilized them with frozen elkhorn coral sperm collected from three places in the Caribbean—Florida, Puerto Rico and Curaçao. The frozen sperm from each of the three populations successfully fertilized the live eggs, and the team transported 20,000 larvae to Mote Marine Laboratory and Aquarium in Florida and The Florida Aquarium Center for Conservation for settlement and rearing. The 1-month-old coral “recruits” represent one of the largest living wildlife populations ever created from cryopreserved material. The movement of genes between populations to speed up adaptation, called assisted gene flow, is an emerging tool in conservation. Assisted gene flow is already used in agriculture: crops from different regions of the world are mixed to find new drought-resistant, disease-resistant and pest-resistant varieties. Scientists have been looking for ways to similarly speed up the natural mixing of genes from different coral populations, because coral reefs are disappearing rapidly. This loss is due, in part, to greenhouse gases that are warming and acidifying oceans, making corals more susceptible to stress, bleaching and disease. The species used in this study, elkhorn coral, is highly susceptible to temperature-induced bleaching and suffers from a range of incurable coral diseases. But this coral only produces bundles of eggs and sperm on a handful of days each year, and the sperm and eggs are only viable for a few hours, leaving no time to move them to another region. It is also risky to move adult corals from one region to another, because this may transfer disease or invasive species. Moving frozen coral sperm is considered safer and more practical. This first experiment was a proof-of-concept, answering the question whether cryopreserved sperm could produce offspring from genetically isolated populations. It also opens up a wide range of options for future studies and conservation initiatives using frozen coral sperm. Next, the research team plans to screen the juvenile corals to see if they grow faster or are more resistant to coral bleaching and disease. The scientists are also considering repeating the study with sperm from coral populations that are more heat tolerant and breeding them with coral populations that are less tolerant. In 2008, SCBI and partners established the first frozen coral sperm repositories in the United States and then in 2011 in Australia. 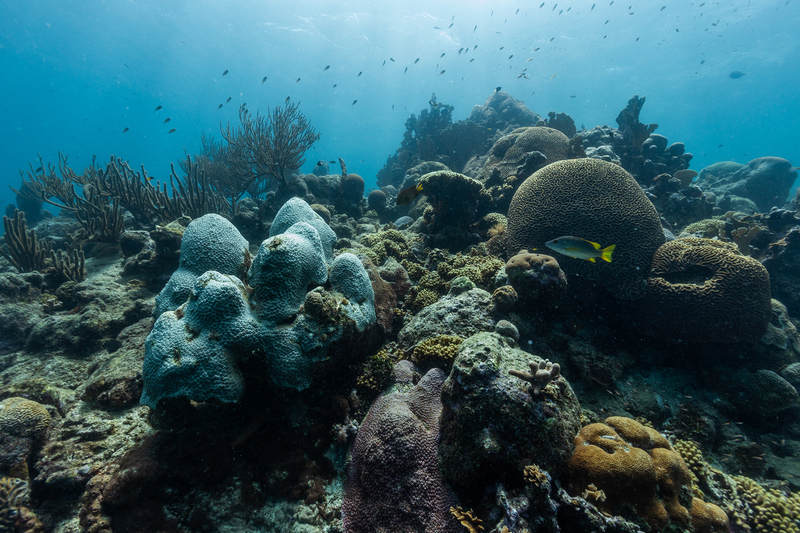 These banks now contain material from more than 30 coral species worldwide. Because the banked cells are alive, researchers can thaw the frozen material one, 50 or, in theory, even 1,000 years from now to help restore a species or diversify a population. Coral reefs are living, dynamic ecosystems that provide invaluable services. They nurture more than a quarter of all marine life, provide storm barriers for coastlines and maintain livelihoods by adding more than $300 billion annually to the global economy. 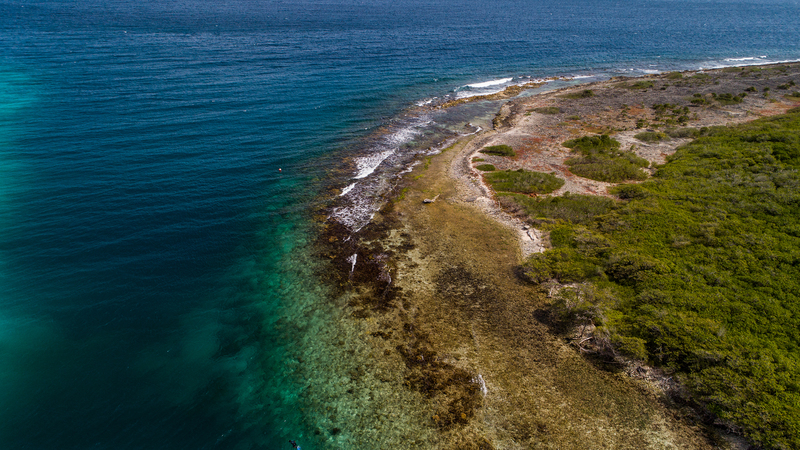 This project is a collaboration between the Smithsonian Conservation Biology Institute, the CARMABI Research Station in Curaçao, The Florida Aquarium Center for Conservation and Mote Marine Lab. The paper’s additional authors are Claire Lager and Nikolas Zuchawicz, SCBI; Christopher A. Page, the Mote Marine Laboratory; Keri O’Neil, the Florida Aquarium Center for Conservation; Kathryn Lohr, University of Florida; Harvey Blackburn, USDA National Animal Germplasm Program; Tali Vardi, Jennifer Moore and Tom Moore, NOAA Fisheries Southeast Regional Office; Valérie F. Chamberland, SECORE International; and Daisy Flores, Lucas Tichy, Mark J. A. Vermeij and Kristen L. Marhaver, CARMABI Research Station. The project was funded by Paul G. Allen Philanthropies with permissions from the government of Curaçao. Smithsonian scientists were the first in the world to successfully cryopreserve coral and continue to advance the field of research to protect the world's coral reefs. Smithsonian scientists are pioneering low-cost, high-impact reproductive technology to offset the effects of climate change on coral reefs.